Chipperfield Jazz is a small Jazz Club based at Chipperfield Clarendon Cricket Club, The Common, Chipperfield WD4 9BS. a reasonably priced licensed bar at the club, seating is informal so if you want the best seats come early! 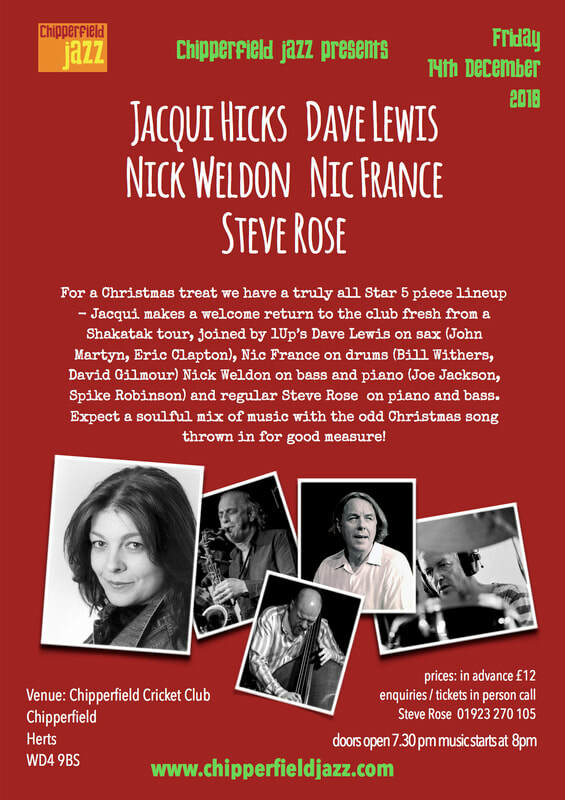 We have a new event on Friday 14th December - Jacqui Hicks with an all star band. Jacqui makes a welcome return to the club with a mix of soul & jazz standards - book early for this one!